Discover the best of New Zealand’s artisan cheeses. Here are the dairy farms and cheesemakers you have to visit. Hit the trail and see why New Zealand’s artisan cheese industry is blooming, as a new generation of cheesemakers returns to age-old ways to craft the tastiest cheeses. Beyond the green pastures, New Zealand's best little cheesemakers will put temptation in your way as you travel the highways and byways ,discovering how a new generation of artisan food producers are putting old ways back in fashion. 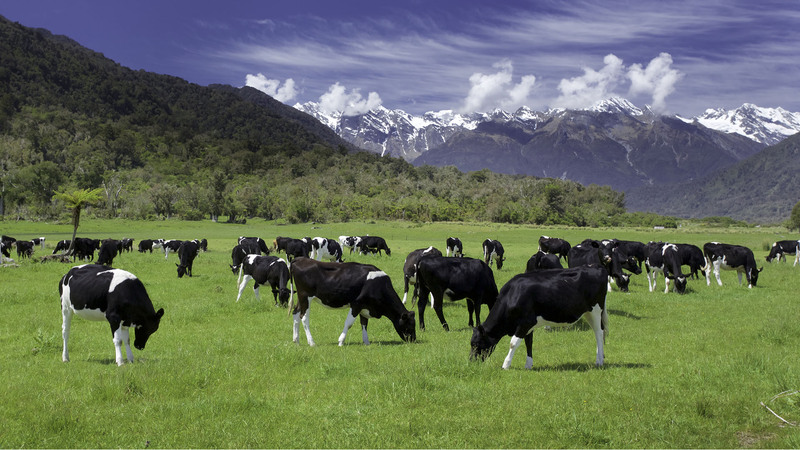 Until the 1920s, New Zealand was dotted with small cheese factories as in the days before refrigeration, the milk could only travel a few kilometres before it spoiled. But, in the past couple of decades that industry has been revived, as a new generation of cheese-makers up and down the country – many of them farmers as well – has started making cheese with all that fabulous milk. Many of them have farm shops where the welcome is friendly and the cheese is sublime: there may be no better way of touring the country. "The mozzarella is springy on the outside, just holding together on the inside." Start in the far north at Mahoe Cheese near Kerikeri, which has won multiple prizes, including the Champion of Champions at the New Zealand Champions of Cheese Awards. You’ll find the cheesery and the farm shop down a long gravel driveway off State Highway 10 on Anna and Bob Rosevear’s family farm. Their son Tim milks 60 Fresian cows, while brothers Jesse and Jake turn it into Dutch-style cheese. The “Very Old Gouda” is beautifully tart and complex. From there head south towards Auckland via the scenic route down State Highway 16, stopping at the Matakana Farmers’ Market for Whangaripo buffalo mozzarella. Along the way, just outside the city in Taupaki, drop in on Crescent Dairy, which farms goats organically and produces just one or two cheeses a day. The products are phenomenal – the Dirty Devil washed-rind creation is for the serious cheese obsessive, while the Parvenu mild farmhouse is gentle, beautifully soft and creamy. Meanwhile, on Auckland's North Shore Il Casaro makes fabulous, authentic mozzarella in a warehouse, from milk sourced just outside the city. The mozzarella is springy on the outside, just holding together on the inside. Not surprisingly, it’s been a hit with Auckland restaurants but you can also buy it direct from the factory shop and several markets. 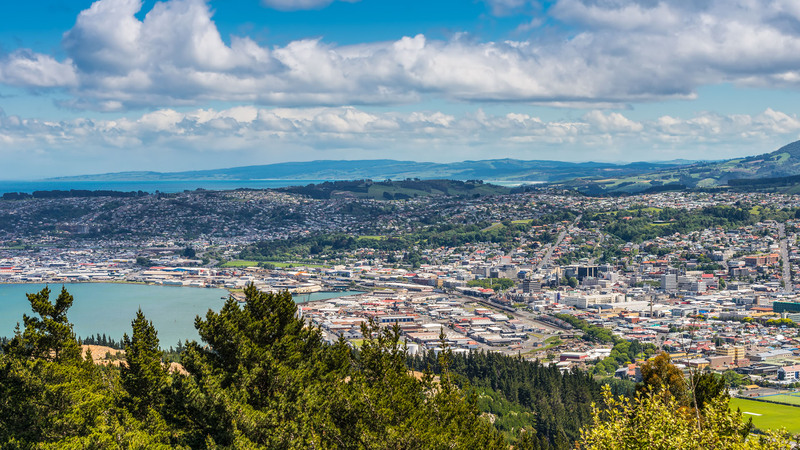 Travel tips: Auckland is the country’s biggest city and – as well as being worthy of a few days’ exploration and eating – makes an easy base for exploring the far north of the country, a couple of hours’ drive away. Auckland’s cosmopolitan, subtropical vibe gives way to rustic Northland, where the beaches are legendary – be sure to stop by the Tutukaka coast. "The Waikato – where the grass is greener than just about anywhere else in New Zealand – is a cheese-lover’s paradise." Not surprisingly, the Waikato – where the grass is greener than just about anywhere else in New Zealand – is a cheese-lover’s paradise, and many of the country’s best-established cheese-makers are here – including Mercer Cheese, a tiny shop beside the main state highway, next to a truck stop. Here, since the early 1980s, Alfred Alfrink and wife Ineke have been making 12-kilogram rounds of edam, maasdam and gouda, which they slice to order in front of you in the shop. Over The Moon Dairy, meanwhile, is a relative newcomer. It started in 2008 in the little country town of Putaruru, producing cheese from sheep’s, goat’s and cow’s milk, all sourced from farms close by the factory. Their cheeses are marked by intense flavours and technical precision. 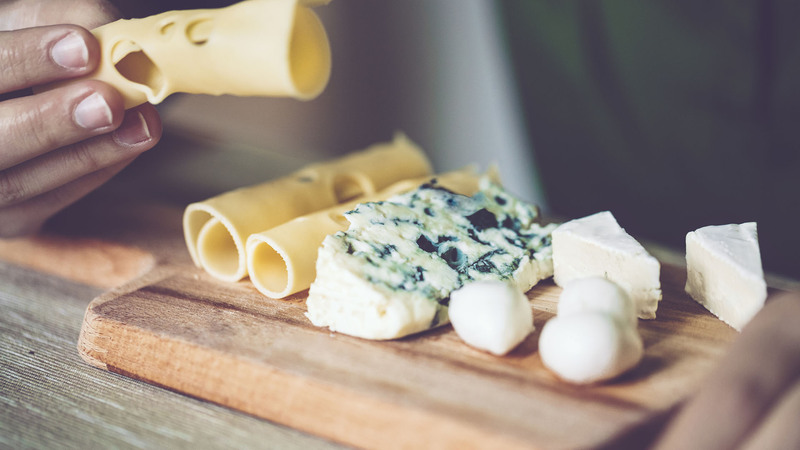 Many of the recipes were created by co-owner Neil Willman, who is a master of cheese and runs the New Zealand Cheese School, so if you’re really keen, you can drop by for a cheese-making course as well. The Galactic Gold – a washed-rind – is the cheese to end all cheeses. Travel tips: The Waikato is the epicentre of the country’s dairy industry, with hectare after hectare of rolling, lush grass: at the heart of it all is Hamilton, one of New Zealand’s fastest growing cities, with a passionate local culture and award-winning botanical gardens. Make time to visit Raglan – 45 minutes’ drive away on the coast – which is pretty much the perfect small surf town. "The Tenara ash-coated soft goat’s cheese is sublime – at once nutty and floral, with a beautiful texture." Kaikoura Cheese owners Dan and Sarah Jenkins had no previous farming experience when they started with three goats on land outside of Kaikoura a couple of years ago. Now they have 60 goats and their little factory and shop, meanwhile, is right in town. The Tenara ash-coated soft goat’s cheese is sublime – at once nutty and floral, with a beautiful texture. Next, head for Christchurch, starting with the Canterbury Cheesemongers – a shop with an incredible range of New Zealand cheese. From here, head out to Banks Peninsula to Barry’s Bay Cheese, which overlooks pretty Akaroa harbour. They’ve been making cheese using traditional methods and fresh local milk since 1895. Watch cheese making through the viewing window and enjoy samples of their award-winning cheeses. 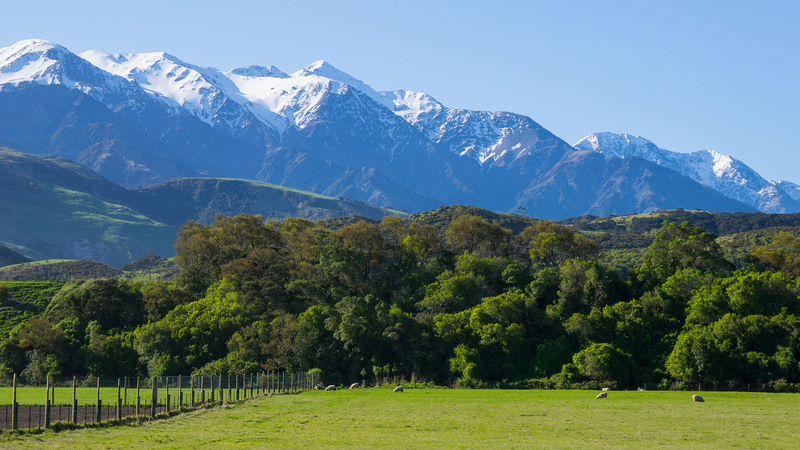 Travel tips: The drive from Marlborough to Christchurch snakes its way down the east coast of the South Island, one of the country’s most spectacular drives: steep cliffs, roiling sea and fresh crayfish (rock lobster) from Nin’s Bin just north of Kaikoura. A little further south is Waipara, one of the country’s increasingly popular small wine regions. "For a nutty, soft, beautiful cheese, try the Ruby Bay, wrapped in bright red wax." A few hours’ drive south at Oamaru, meanwhile, you can see the cheese being made in the factory at Whitestone Cheese , before settling in for a sampling in the airy tasting room. They make an enormous range of cheese here, with milk sourced from a handful of farmers around north Otago, but the Lindis Pass Camembert – gooey and stinky – has been described as New Zealand’s greatest cheese. Whitestone also makes a cultured butter which is creamy and yellow – the manuka-smoked version is dangerous. Further down State Highway 1 as you approach Dunedin, you’ll find Evansdale Cheese, which started in the 1970s: there’s a small shop outside the factory, but they’re also regulars at the Otago Farmers’ Market on Saturdays. The welcome is cheerful and the staff knowledgeable. For a nutty, soft, beautiful cheese, try the Ruby Bay, wrapped in bright red wax. Carry on south to Invercargill’s Blue River Dairy where you must try the fantastic pecorino, made from local sheep’s milk. While you’re there, indulge in a gourmet version of New Zealand’s legendary cheese roll (and sheep milk coffee) at Blue River’s Sheep Milk Cafe. Travel tips: While you’re in Oamaru, make time to watch the penguins come ashore at dusk at the Oamaru Blue Penguin Colony. In Dunedin, meanwhile, you’ll find historic stone buildings and a vibrant creative culture, as well as a strong Scottish identity – which makes for an excellent place to drink whisky. 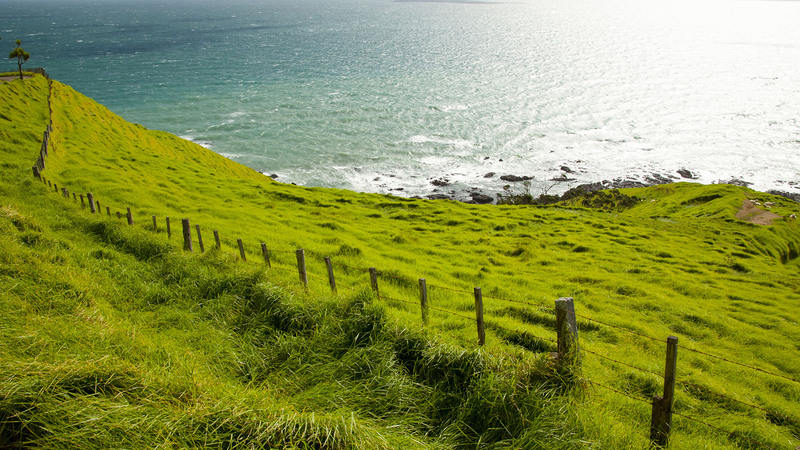 In Invercargill, drop by Bluff, New Zealand’s southernmost point and the source of those legendary Bluff Oysters.